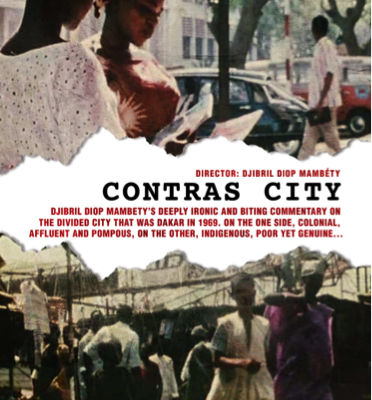 This short, 21 minute film is unique in that it tells the story not necessarily of a person or a group of people but rather of a city: the story of Dakar, Senegal, in the 1960s. The viewer is shown the city from the perspective of a female French tourist and her African guide, played by Mambéty. What the camera reveals is a teeming location filled with contrasts: rural vs urban, colonial vs indigenous, rich vs poor. It provides a glimpse into the lives of workers, children, merchants, hagglers, and French tourists. Dakar is depicted as a place filled with different people, architectural styles, religions, and ways of life. Yet the picture is not entirely positive: viewers are also given a deeper understanding of colonialism and the painful divisions it has created in Dakar's society.